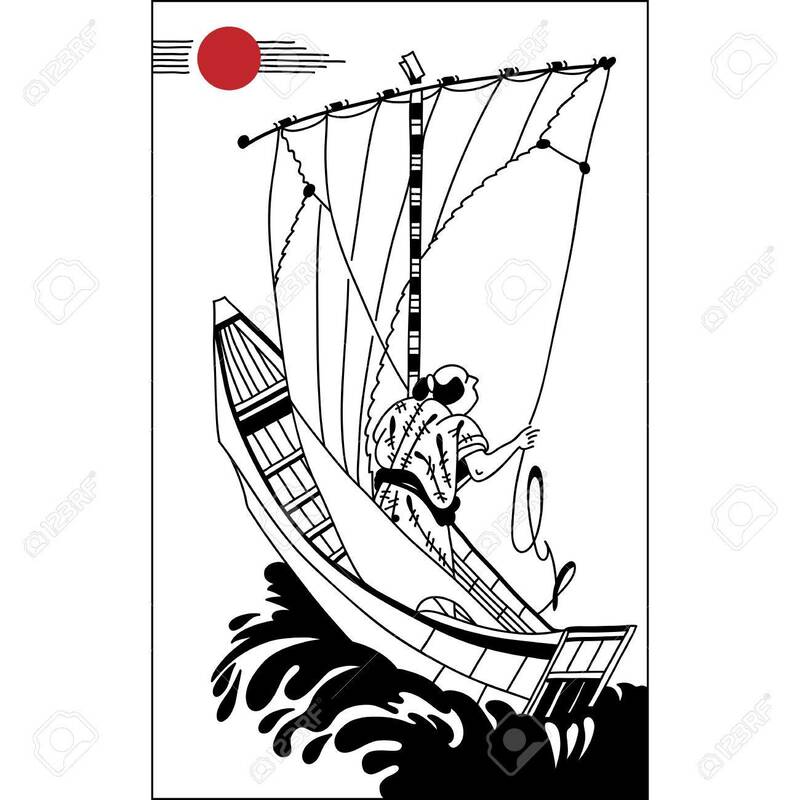 Japanese Fisherman In A Sailing Ship. Vintage Hand Draw Art... Royalty Free Cliparts, Vectors, And Stock Illustration. Image 47378359.